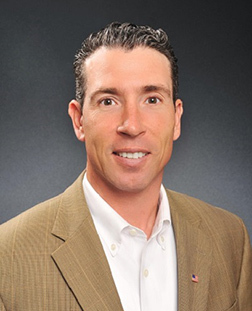 Greg Fitzgerald is the founder of Tri-Oak Consulting Group, a KW Commercial Affiliate. He started his commercial real estate brokerage in 2002 out of a strong desire to take charge of his professional destiny. In 2006, after four years of experience and a relocation to Georgia, Greg took another leap in order to build his own team and to find a better way to broker. Over the years, his company has had the good fortune of helping their best clients complete several successful transactions by being persistent and active, while maintaining a high level of effective communication. Greg: I am a net-lease broker specializing in Dollar General stores since September 2002. I am licensed in nine states and work primarily in the Southeastern United States; we go where the transactions are. Most of our business is conducted by phone or email,and rarely have on-site meetings. On Mondays, we plan our week, then focus on sales on Tuesdays, Wednesdays, Thursdays, and Fridays and I spend at least three hours per day making prospecting calls. My afternoons are usually reserved for managing listings an transactions and additional sales follow-up. How did you first hear about ClientLook? Greg: Chris Griffin came to a KW Commercial retreat in December 2016 and I was intrigued by his demonstration about how the properties worked within ClientLook. I knew that I could benefit from that, among other ClientLook features, so I signed up for a free trial to start playing around with the software. I officially signed up for ClientLook in early 2017 and it has changed the way I run my business. What do you enjoy the most about ClientLook? Greg: The number one thing that I love about ClientLook is being able to relate owners to each property. Our ability to farm and prospect owners has dramatically improved since we started using ClientLook. The system helps us keep track of everything from properties, to buyer information, to property marketing. There are currently five people on our team and we all utilize the database every day. How have you customized the ClientLook system? Greg: We run the business very focused on new prospects and have tailored the business after the principles in the book “The Millionaire Real Estate Agent” by Gary Keller of Keller Williams. The book suggests making “8 touches” to a potential new client and 33 annual touches after that – an email, a phone call, a postcard, etc – so we customize the updates and notes in ClientLook to keep track of these touches that we utilize in our business. It’s nice to be able to customize the updates in the ClientLook system specifically to how we run our business. What CRM solution were you using previously? Why did you choose ClientLook? Greg: Prior to switching to ClientLook, I used Capsule CRM for several years. It’s a very generic CRM and is not commercial real estate specific. We switched to ClientLook specifically for the ability to relate owners and contacts to properties and deals. The way that ClientLook helps us keep track of everything is 100% effective. Greg: The iPhone app is awesome and super-fast! I use the app whenever I’m not at my desk and like that I can instantly access contact information, properties, and people who are related to those properties. The app offers a lot of great features; I wouldn’t change anything about it! My team also uses the MailChimp integration to send about two to four email campaigns per week. The integration works great, saves us time, and provides us with useful analytics. Greg: The one thing that made us choose ClientLook compared to the other CRM’s out there is that it’s CRE specific. I also believe that software should improve over time, as new technology develops, and ClientLook is constantly rolling out new features that are specifically related to the commercial real estate industry. When we previously used Capsule CRM, they never improved or upgraded the platform because it was just a generic plugin – not specific to commercial real estate. As a CRE professional it’s important to constantly grow and update your database obtaining both contact information – email address, phone numbers, and physical address, as well as, property information specific to your market or niche. This is your data and you’re only as good as your ability to add to and stay connected with the people and properties you have in your database. As a real estate practitioner your database is constantly being updated and organically changes over time, so if you’re not using a CRM that allows you to keep track of and relate contact and property information you will be left with a static and outdated database. Greg: It’s been a positive experience. We deal with a lot of techy stuff, and the ClientLook team genuinely cares and they want to hear about our concerns or suggestions for future updates. It’s clear to us that the team cares about continually improving the product. Also, I really like the little blue ”chatbox” inside of ClientLook; when I send a message, I get a fast response from a real person! It’s awesome!